Such a beautiful table. Though we’re in the midst of a beautiful summer in my part of the world, this reminds me of all that I love about winter! I spy Mr Fox from the Abergavenny Millennium Tapestry. I love the way the stitches have been used to create movement. It is well worth a visit to the Tithe Barn to see this piece, as well as the chance to sample the local produce in the restaurant, of course. Lovely! 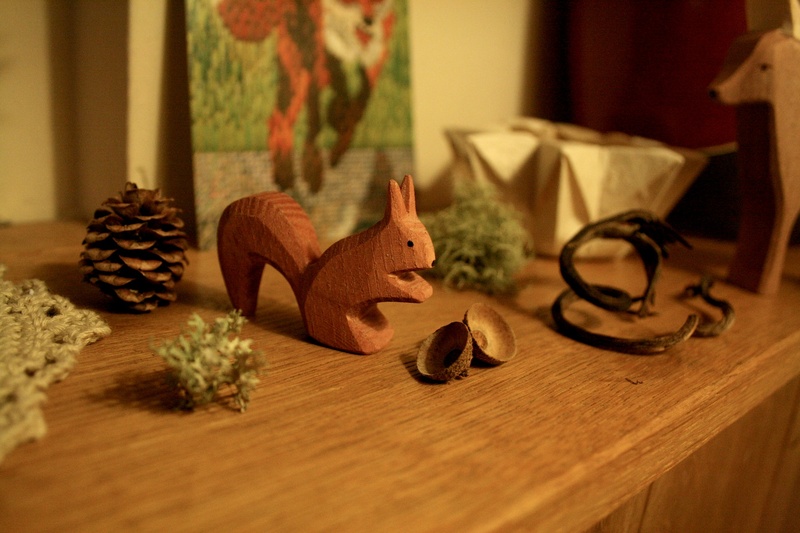 Those wooden animals are really cute. Nice to see another Welsh blog. 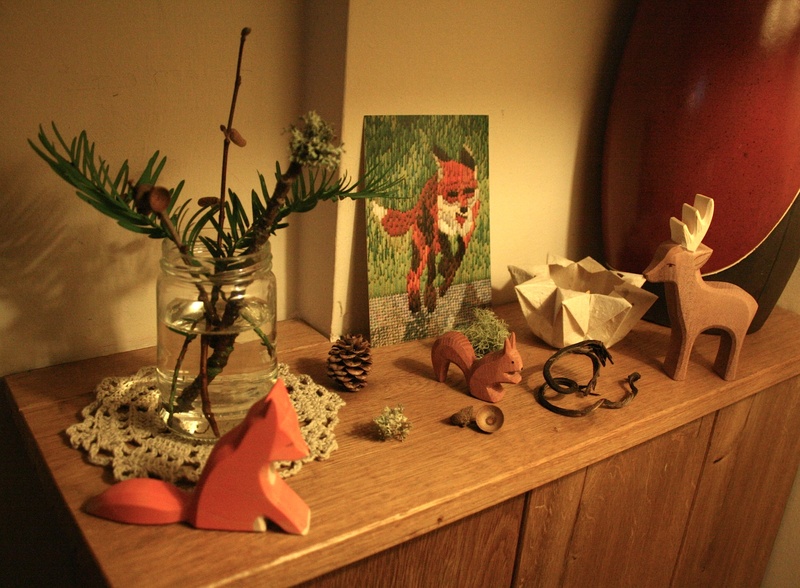 I love your nature table…where did you get those wooden animals from? How cute! I’m sure the kids will love this. Nice. I love your little fox. Hi there, Just wanted to let you know that I linked this article to a recent post on my website. Thanks for the beautiful pictures! Beautiful table. My kids are looking over my shoulder. They want that squirrel, LOL. 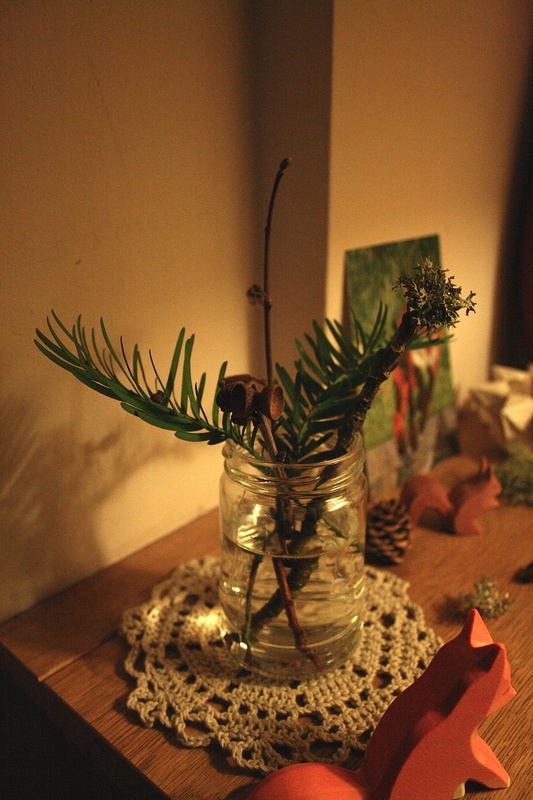 Welcome to A Little Slice of Life - a blog about crafts, parenting and life in the Welsh Borders.